“Everything changes.” He was saying, “Even in your home town, things change over the years.” I was speaking with a Hawaiian man who I caught up with on the street and asked him if he had lived here long. “All my life.” He replied. I had asked him if he remembered one of my favorite restaurants from 50 years ago when I lived in Honolulu for over 3 years. Oh yes He remembered Coco’s, one of his favorite restaurants as well. “Long gone,” he said,”It changed to Hard Rock Cafe then Hard Rock moved to Waikiki and there is no trace of Coco’s.” We agreed that every thing changes over time, but still some things remain the same and brings back the memories of times gone by. 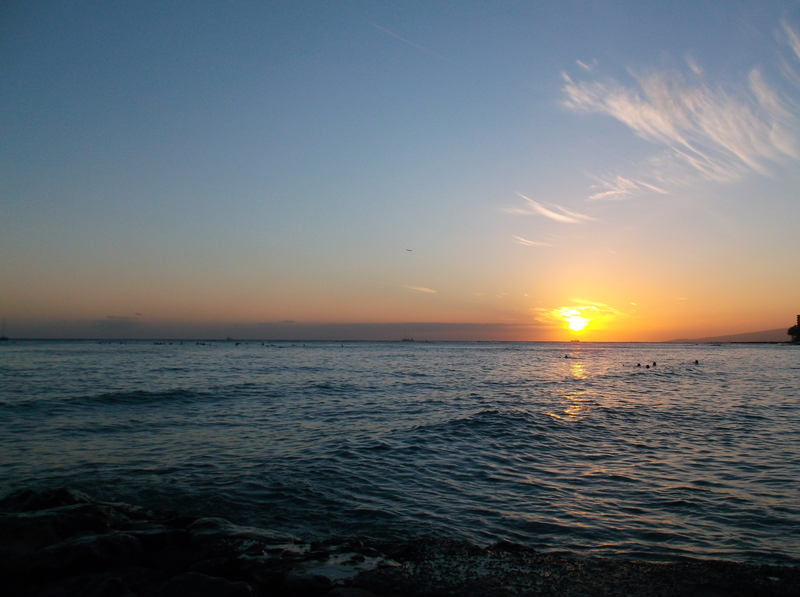 Thus the reason for my most recent trip to Oahu, Hawaii. While writing my youthful memoirs, I once again became familiar with the way things used to be, and I was curious to know what the changes were and if I would recognize anything. I am pleased to tell you that the answer is yes. Many things, not the least of which is the beauty of the land itself, remain the same. When people find out that I have written a book, the first thing they want to know is what it is about. The answer is really quite simple. “A Wish Called Wanda” is about the foundation of my life. The part of my life I chose to write about ends at age 23, but what I experienced, and the choices I made in those first 23 years set the path for my life. Everyone could write that story. I loved those days of my life, I wanted to savor the moments, and tell about those years as a legacy to all who would embrace joy for life. After researching and reviewing the events of my youth, getting it in print and published, I had a great desire to revisit the places where the memories were made. I took along my sweet friend, Lisa, who helped get the book in print and my dear friend, Deanna, who proved to be a great asset to us as we traveled. 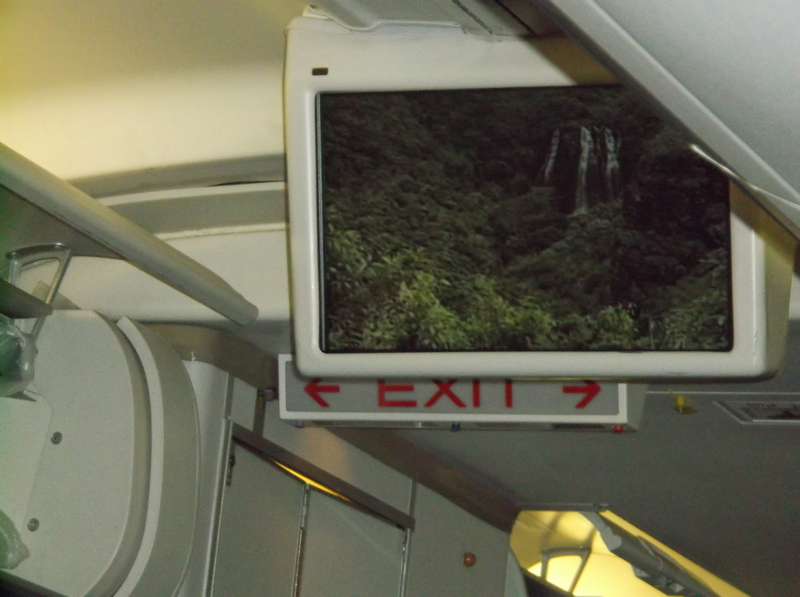 The airplane movie screen teased us with scenes of the lush beauty of the land. A picture like this one captured my heart at age 19 and made me want to experience the reality of it. A waterfall sets the opening scene in the book. The airport drew out our cameras to capture first impressions. 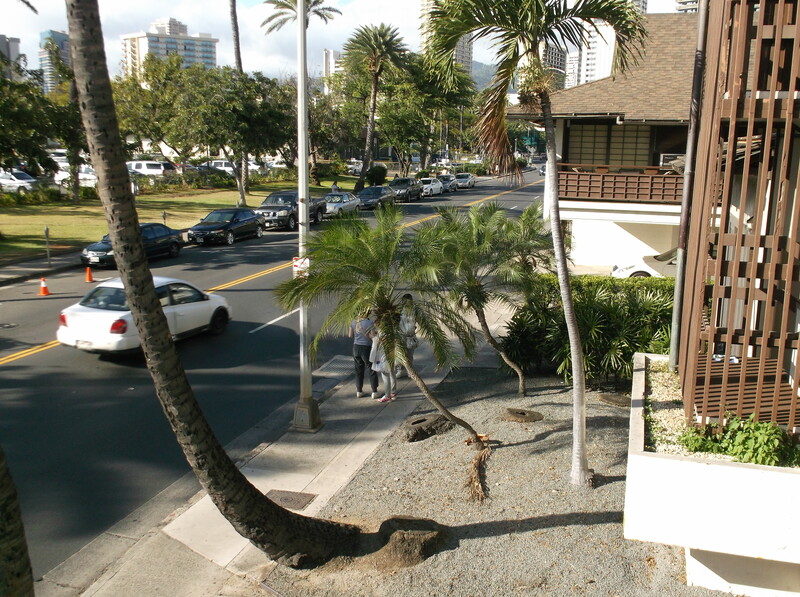 Our taxi dropped us off on Saratoga Road to the place I came 50 years ago to spend my first three nights in Honolulu. Later my apartment was located on this spot. I have a picture of me taken in front of this tree, as a young girl. 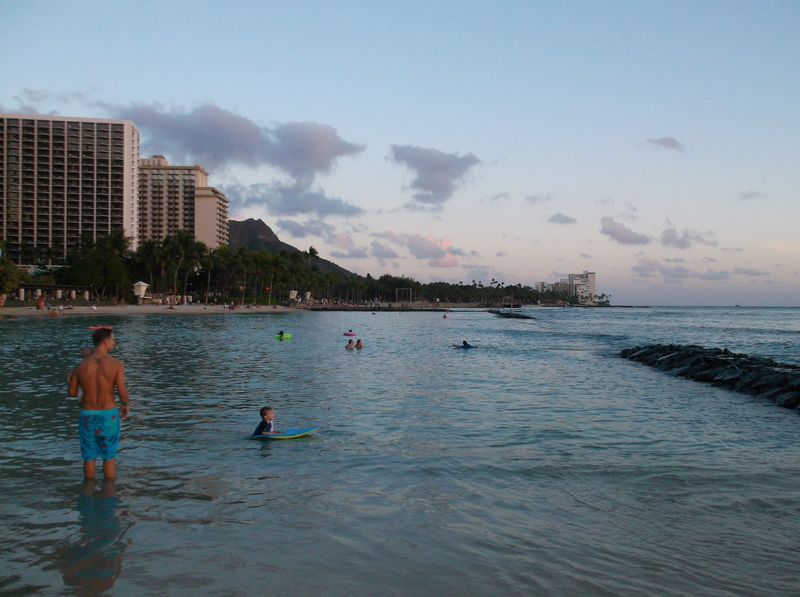 Waikiki, so much has changed and still much the same. Thank God they can’t change this. 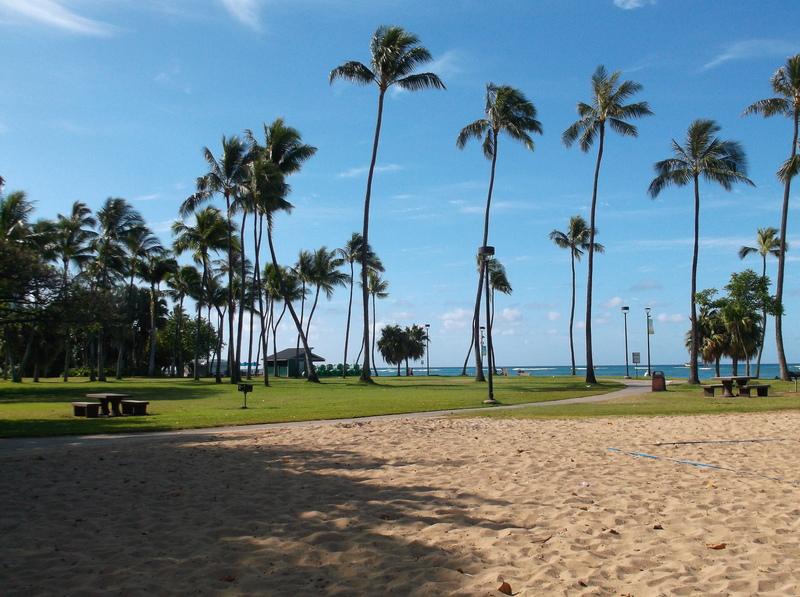 There are things about the Island that cannot be changed and I like to think about those, rather than to dwell on the expensive shops and massive amounts of hotels that have invaded Waikiki in the past 50 years. 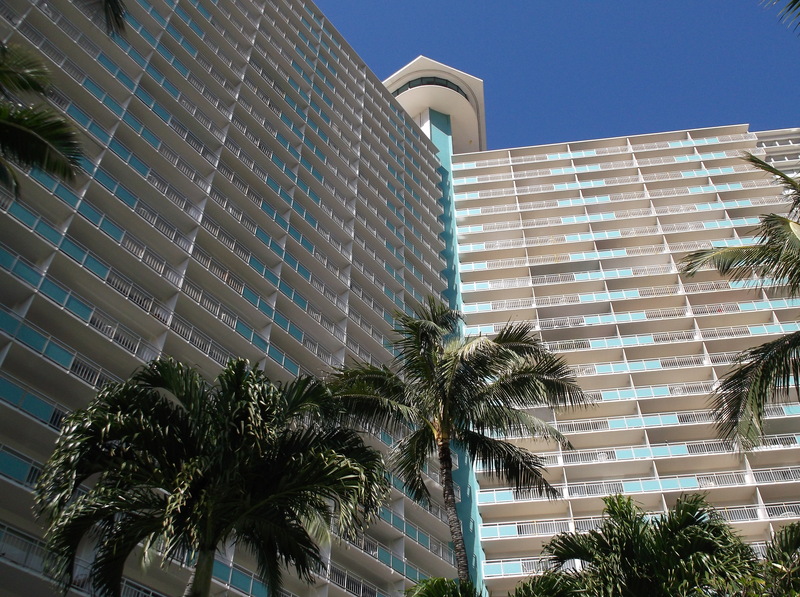 My beloved Ft DeRussy, where I spent many a happy hour, is changed but her beauty still lingers and proximity to that breath-taking blue water and our hotel is still the same. In life as well as in places things change and sometimes we wish for things as they were. 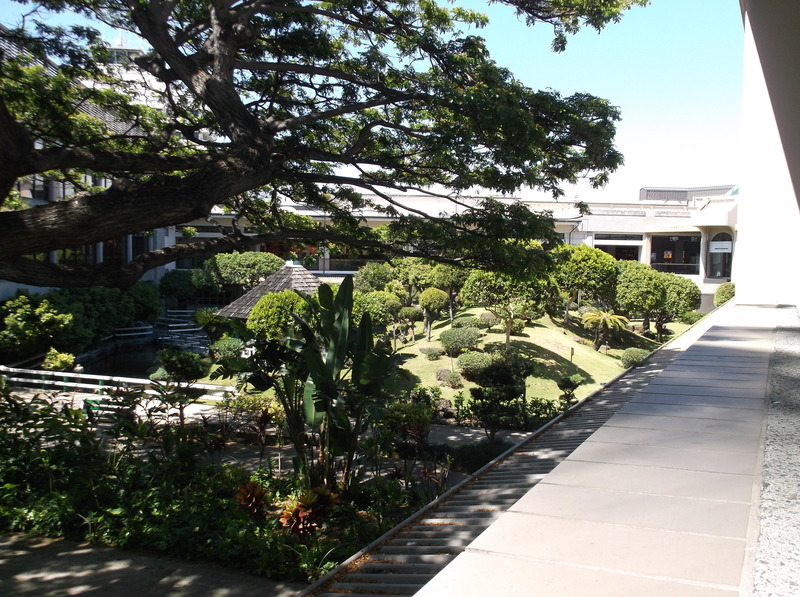 Like the glass elevator in the Ilikai Hotel that let you see over the opposite end of Waikiki for miles, gone now because of the many hotels that obscure the view. We did find a hotel up the road that offers at least some of that view from their glass elevator. I was happy to find another glass elevator in the area. 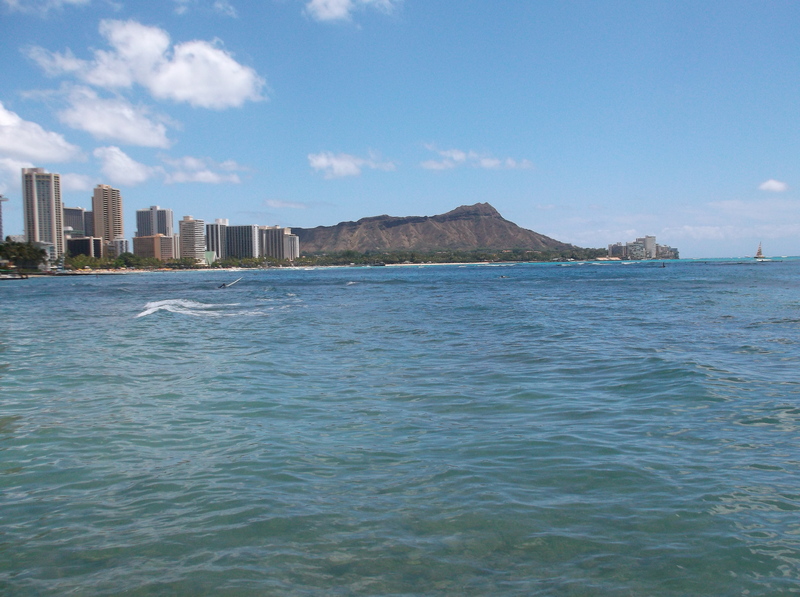 Diamond Head is the Icon that hasn’t changed, but something about it has. Fifty years ago only military personnel could go inside the crater. Today anyone can climb to the summit and enjoy beautiful views of the ocean and city. When I say anyone that includes me. We had a goal to climb to the peak and we did it. Stay tuned for the next blog climbing the number one icon of Waikiki.